Article first published as Book Review: ‘Pokergeist’ by Michael Phillip Cash on Blogcritics. 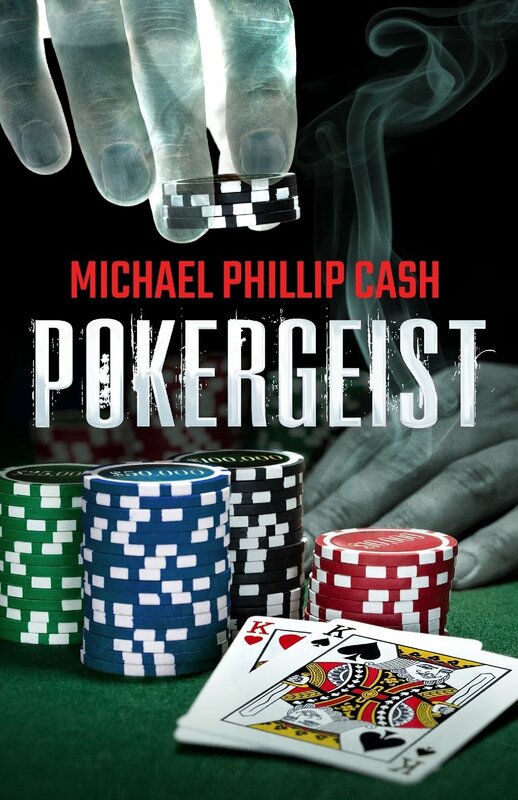 “Pokergeist” by Michael Phillip Cash called my attention immediately as I am a big fan of poker and mystery/thrillers. The story begins with Clutch Henderson, a famous poker champion, playing at the final table of the Main Event series; an event he has never won. Clutch is paired against a kid called Adam ‘The Ant’ Antonowski. After going “all in” during the last hand Clutch is ahead with three kings and thinks he is finally going to win the tournament, when he dies of a heart attack on the river card as he is dealt the losing hand. The story continues a year later when a computer geek by the name of Telly Martin tries to earn the Main Event registration money by playing poker, with no luck. Frustrated and with only one penny left, Telly throws it in a fountain and wishes to be able to play in the Main Event. At the same time Clutch’s ghost wishes he could win at least once at the Main Event. In a “Freaky Friday” type of moment, both wishes are granted and all of a sudden Telly is able to see and speak with Clutch’s ghost. I found “Pokergeist” to be a very interesting read. Cash’s writing is awesome. His style filled this book with cliff hanging moments in between chapters that keep the reader guessing throughout the story. The originality and picturesque characters made the story funny as well. Dialogues were genuine, real and entertaining. They definitely made the characters come alive in my mind. The book’s formatting made it easy to read as well through big font and short pages. Cash must also be very knowledgeable about the game of poker. I have been playing since I was a kid and can attest that the situations described during the games were authentic. I definitely recommend “Pokergeist” by Michael Phillip Cash as an awesome read for all poker lovers, and fans of a good, entertaining story. I give it five out five stars as a quick, fun read! This entry was posted in Fantasy, Fiction, Paranormal and tagged Book Review, Michael Phillip Cash, Pokergeist. Bookmark the permalink.